Truly one of the most beautiful chuppahs I have ever seen in my thirty years as a New York based wedding photographer. This one was crafted by an amazing florist at The Venetian Yacht Club in Babylon, NY...one of Long Island’s premier waterfront catering venues. 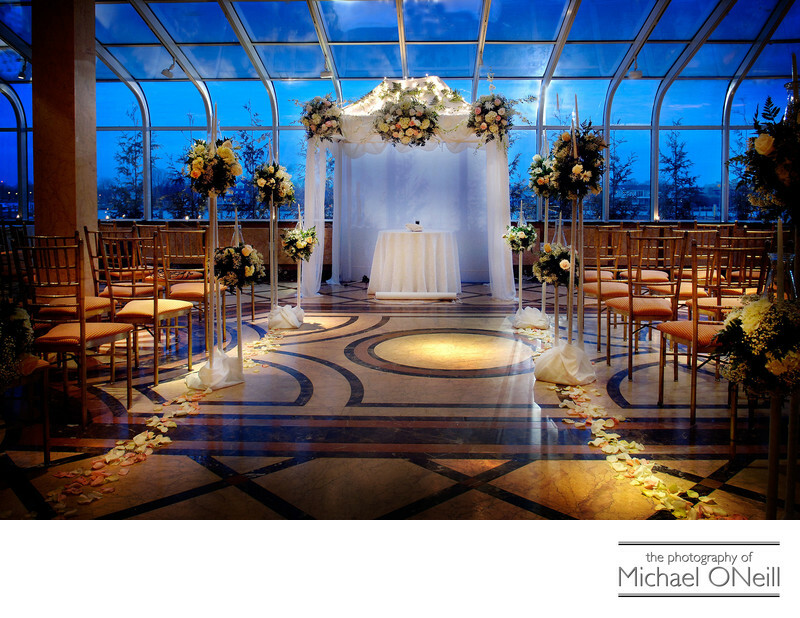 The chuppah is the canopy under which a Jewish couple exchanges wedding vows. They share the space under the chuppah with a Rabbi and/or Cantor and with their parents. The canopy is symbolic of their new home together and the protection they will afford each other; yet is appropriately open on all sides...symbolic of their new home being open to their friends and families. There are many important moments in a Jewish wedding ceremony including the bride and groom drinking wine from the kiddush cup and the Sheva Brachot...the seven blessings recited for the bride and her groom. Prior to the actual ceremony the couple, their families and witnesses gather privately to sign the Ketubah...the Jewish marriage document or marriage contract. This document will be read aloud during the ceremony and given to the bride. At the conclusion of the ceremony the groom will break a glass...a ceremony who’s symbolism is claimed to be of varying interpretations.